At the temple, Tim Cook also had a chance to chat with Anant Ambani, the son of Mukesh Ambani. Apple CEO Tim Cook kicked off his much anticipated tour of India with a pre-dawn visit to the Shree Siddhivinayak Temple at Prabhadevi in Mumbai. His cultural experience at the temple comes before a morning of business meetings in the country’s commercial capital. 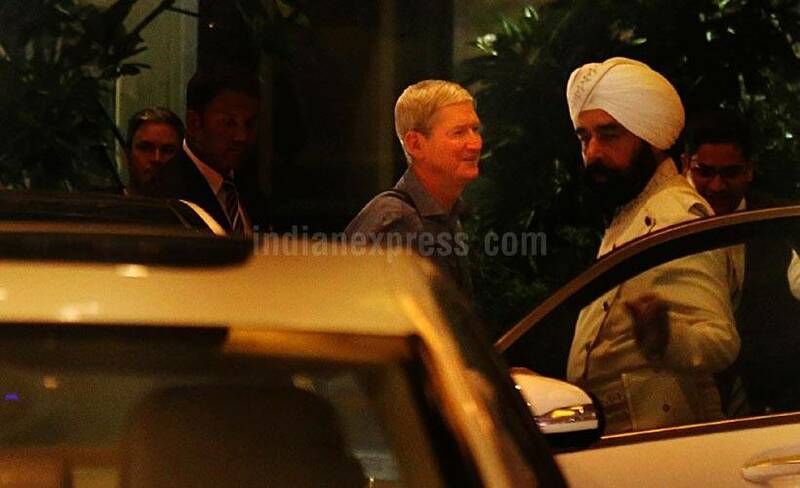 The Apple CEO will be meeting Tata Group Chairman Cyrus Mistry and others during the day, it is learnt. Cook is expected to travel to Hyderabad, Bangalore and Delhi later this week. However, there is no official confirmation of his schedule from Apple. There are unconfirmed news reports that he will be meeting Prime Minister Narendra Modi during the trip.